Definition at line 159 of file llfolderview.h. Definition at line 162 of file llfolderview.h. 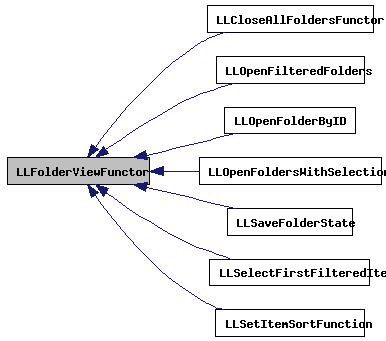 Implemented in LLSetItemSortFunction, LLCloseAllFoldersFunctor, LLOpenFolderByID, LLSelectFirstFilteredItem, LLOpenFilteredFolders, LLSaveFolderState, and LLOpenFoldersWithSelection.